Adele- Someone Like Du - Hintergrund. I Liebe Adele and her song, Someone like Du ^^. 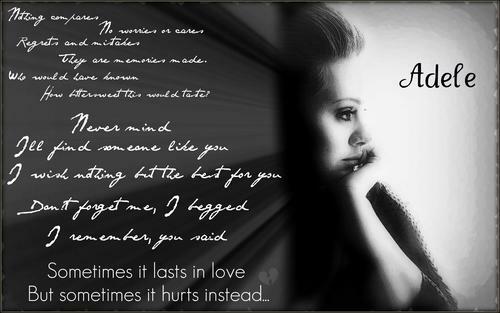 HD Wallpaper and background images in the Adele club tagged: adele someone like you wallpaper 2011. Fantastic wallpaper! Keep it up! hi Adele this Kimberly I love your "someone like you" song it's totally awesome! My fav songs from her is someone like you and setfire to the rain....OH AND ROLLIN IN THE DEEP. My favorite song is rolling in the deep and set fire to the rain.